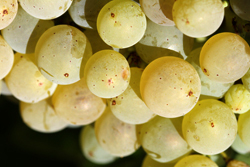 The Group of R&D Partners wineries was established under the leadership of the ICV in 2005. The objective: to support the development of new tools for winemaking, to transfer to the industrial scale the results of the Experimental Cellar. On the basis of an annual work program, the ICV Group conducts regular meetings between these wineries, all from the Mediterranean basin and the Rhone Valley. On the agenda: sharing results, experiences, innovation on each balance sheet (assets and limits) to validate its interest leads for years to come. This network is a key link between applied research and production: it measures on the ground, the benefits and limitations of innovations in close partnership with stakeholders in the sector. The results of the actions are then relayed by the ICV teams from all 2,000 members and customers of the Group. Benefits: For the winemakers: improved profitability plots, better organization of the harvest, the wine quality, optimization of fertilization plans. For cooperatives: quick and objective assessment of the oenological potential of several thousand plots, grouping like-potential lots. For investors: precise and rapid analysis of wine production potential new plots and new areas. Breeding without SO2 on white, rosé and red (2007-2010): validation of feasibility, risk identification, development steering the microoxygenation red. Benefits: stable wines earlier, better controlled vegetal notes, more intense blackberry notes, more wooded melted. Caps and sensory profiles of wines (2007-2010): conservation wines by 3 technical corks DIAM of different permeability over a period of 36 months. Test repeated in 4 partners or cellars of 2 red wines, 1 rosé wine and one white wine to measure the influence on permeability changes in sensory profiles of wines and chemical characteristics. Benefits: choose capping (cap and permeability) best suited to the preservation and evolution of sensory profiles of wines, aware of the influence of clogging on the sensory profiles of wines. Biogenic amines and FML (2008): identification of major 'hot spots'' in the winemaking process, highlighting the raw material effect. Note: the work is under way to identify and measure the sensory impact of biogenic amines in wine. Benefits: targeting bacterial inoculations including on risk vintages. Original profiles Research Viognier (2010): very different process layout for comparison, from the same raw material, different wine styles. Benefits: possibility to produce original, creative cuvées for recovery or assembly as such.